You are here: Home / General News / Do You Have Your Copy of The Vitamin D Cure? The Vitamin D Cure is a powerful tool of exploration for anyone who hopes to pursue a better, healthier life. In it, Dr. James Dowd explains how anyone can enjoy the benefits of stronger bones, an enhanced immune system, and defense against obesity among others while simultaneously fighting off cancers, reducing inflammation, preventing heart disease, maintaining healthy brain function, and more. 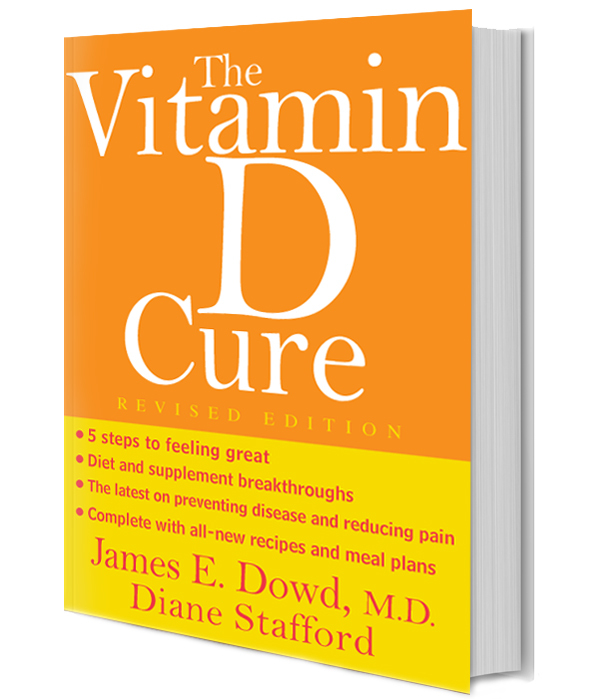 The benefits of vitamin D are seemingly endless, and you too can take advantage of them by picking up your copy of Dr. James Dowd’s book, The Vitamin D Cure, today. This one-of-a-kind book takes readers through a simple five-step plan designed to teach you how to best utilize the proper consumption of this advantageous supplement as well as safely increase your sun exposure for controlled reception of vitamin D to improve your overall long-term health. The Vitamin D Cure also delves into how variations in your diet and exercise routines can affect your physical, mental, and emotional well-being, giving you a better idea of how to manage your daily lifestyle choices in a way that ultimately benefits you. If you’re the type of person who is suffering from high blood pressure, heart disease, diabetes, arthritis, certain forms of cancer, or any other debilitating or life-shortening illnesses or conditions, you could benefit from vitamin D. The best news is, you don’t even need to have any sort of disease to enjoy all the incredible benefits of regularly exposing yourself to vitamin D. Whether you’re looking to increase your energy levels, lose that stubborn weight, or find the relief you’ve needed from normal aches and pains, vitamin D can help you. Vitamin D is truly a miracle substance, and Dr. James Dowd is using it to help countless people around the world find the relief they’ve been looking for with the help of his eye-opening book, The Vitamin D Cure. You will never find another book like this one. 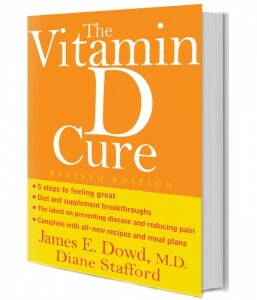 Grab your copy of Dr. James Dowd’s The Vitamin D Cure today for exclusive information on how to change your life for the better. James E. Dowd, MD, FACR (Brighton, MI) is a clinical associate professor of medicine at Michigan State University and the founder and director of both the Arthritis Institute of Michigan and the Michigan Arthritis Research Center. He has been widely published in the professional literature and has been interviewed on local TV and radio. Diane Stafford (Newport Beach, CA) is a professional writer.